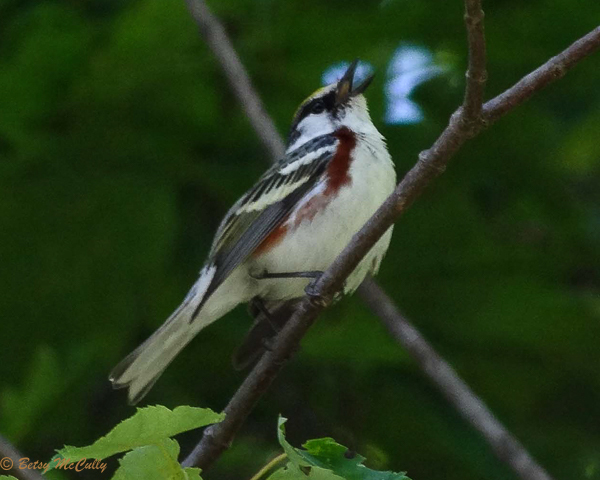 Chestnut-sided Warbler (Setophaga pensylvanica). Breeding male. Open woodlands. Migrant.